Note: Not all products are listed on this page. 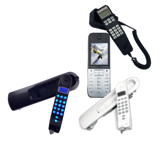 For information on other Extant products please contact Customer Service. Mission Data Debrief Software Mission Data Debrief Software (MDDS) is a comprehensive easy to use digital debriefing system that efficiently manages mission videos, time, events, and other mission related information. 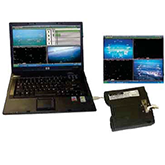 A standard PC platform allows instantaneous review of event marks or special times in the flight to focus on mission objectives. 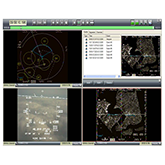 4-D3 Mission Data Debrief Software Mission Data Debrief Software (MDDS) is a comprehensive easy to use digital debriefing system that efficiently manages mission videos, time, events, and other mission related information. A standard PC platform allows instantaneous review of event marks or special times in the flight to focus on mission objectives. Collision Avoidance Systems Traffic Alert/Advisory Collision Avoidance Systems (TCAS I or TAS). The system monitors the airspace around the aircraft and advises the flight crew where to look for transponder equipped aircraft that may pose a collision threat. 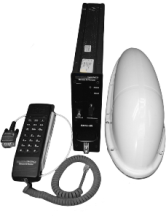 The primary system components are the Transmitter Receiver Computer (TRC), Directional Antenna and Display. Integrated Instrument Display System The IIDS is a self-contained, multi-function cockpit display unit that is the primary source and display of aircraft systems performance and caution/warning messages. 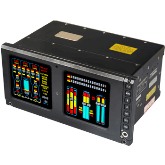 EX5000 Multifunction Display The EX5000 is a large format (10.4”) Multi-Function Display (MFD) designed to interface and display flight mapping, weather, terrain, and traffic data. 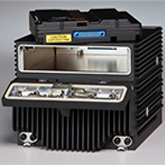 Interfaces with wide range of OEM radar, traffic, and related systems. Entegra EXP5000 Primary Flight Display The EXP5000 Primary Flight Display is a large format (10.4”) primary flight display designed to continuously display primary flight parameters (attitude, airspeed, altitude, and heading/track) in the basic “T” configuration, as required by 14 CFR Section 23.1321. Interfaces with the aircraft’s navigation equipment, autopilot, air data and attitude/heading sensors and Avidyne MFD. 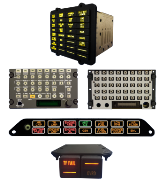 Switch and Cable Products Wide range of portable radio interfaces, switch and cable assemblies, adapters, microphones, jacks, and pre-amps. 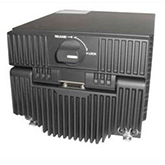 SatCom Continuing support for the Aero-M and Aero-I series SatCom products. 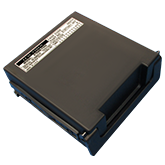 CSA (Customer Specified Avionics) Products The CSA product line was developed to meet platform-specific design requirements for multiple airframe OEMs. 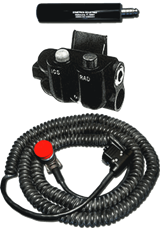 3-inch Attitude Gyro The AIM® 1200 was designed with maximum reliability and long service life in mind. 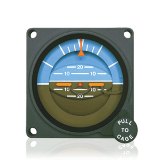 The panel-mounted horizon reference indicator combines high performance with a rugged design, making it ideal for helicopters and high duty cycle aircraft. 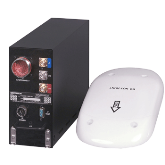 The 1200 series includes a full line of direct replacements for most of the discontinued AIM 510 products. 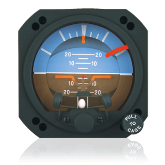 3-inch Attitude Indicator The AIM® 1100 series 3-inch attitude indicator provides enhanced reliability under dynamic flight conditions. 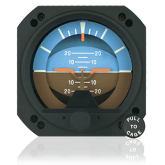 Designed as a direct replacement for the AIM 305 series electric attitude indicator, the AIM 11 series combines the physical features of the AIM 305 series with enhancements for improved performance. 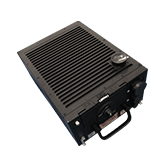 2-inch Attitude Gyro The AIM® 520 series 2-inch attitude gyros have a compact and lightweight design that make these electrical attitude gyros perfect for use as secondary standby instruments, or for use on aircraft where panel space is limited. 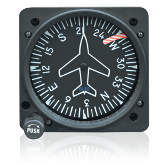 3-inch Directional Gyro AIM® 205 directional gyro is precision flight instrument designed to provide pilots with a constant azimuth reference, free from instability inherent in magnetic compasses. A high-speed electric rotor, mounted in a gimbal system, maintains angular momentum to overcome normal bearing friction and establishes a gyroscopically-stable datum reference relative to space. Mission Data, Memory, & Recorder The Mission Data, Memory, & Recorder (MDR) products. 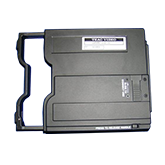 Sustaining forward fit and aftermarket manufacture and repair of various Mission Data, Memory, and Recorder products. 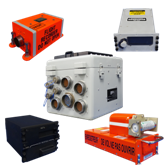 Particle Separator Temperature control boxes with temperature/overheat sensing elements for use in Commercial/Military applications for cockpits/cabins/ducts. Blower Fan for the B747 evacuation slide. Particle separation fans for LCAC maritime operations. ICG_Sigma7 backlit Mix of SatCom phones and components for aircraft cabins and cockpits. AV900 Suites Cockpit lighting, controls and indicator panels for military and commercial aircraft. In Flight Entertainment (IFE) Control Devices In Flight Entertainment (IFE) and Cabin Control Systems used in business jet aircrafts.